08/03/2017-FIDH- For International Women’s Day, FIDH produced a video clip in several languages to illustrate the scope and diversity of mobilisation currently underway. The song “Stood up” by John Hiatt is performed by Angélique Kidjo. The daily threats and attacks on women’s rights around the world are being met with new and unprecedented initiatives. No more complacency; it is time for action. 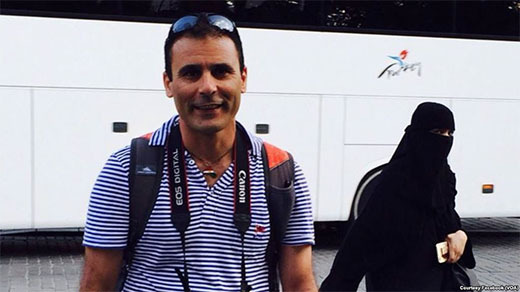 Reza “Robin” Shahini, who was born in Iran and emigrated to the U.S., was detained in July 2016 in Gorgan, Iran, where he traveled to visit his mother and other family members.